More than 200 farmers from Madhya Pradesh’s southwestern district of Harda have taken a government-owned agriculture insurance company to consumer court, complaining that claims have been incorrectly calculated, payouts have been unfairly low, and mandated procedures have been violated. This follows similar actions by farmers in Maharashtra and Tamil Nadu. Farmers from across the country have alleged that payment of insurance claims under the Pradhan Mantri Fasal Bima Yojana, launched by Prime Minister Narendra Modi in February 2016, has been meagre or entirely non-existent, and that the scheme’s real beneficiaries have been insurance companies. 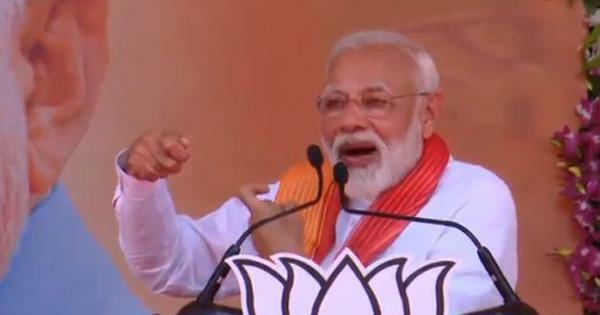 At its launch three years ago, Prime Minister Modi had claimed the scheme would protect the country’s farmers more comprehensively than existing schemes, and at “the lowest-ever premium rate”. The launch was a key step to quell mounting unrest among farmers, and to mitigate some of the risk inherent in India’s largely rainfed agriculture, which is also being ravaged by climate change. Some 300,000 farmers are reported to have committed suicide since 1995, and farm distress has become a key electoral issue ahead of the 2019 general election. To investigate how the scheme is faring on the ground, FactChecker visited Harda and Morena districts in southwestern and northern Madhya Pradesh in central India. In addition to low claim payout, all farmers we interacted with complained that they had not been issued receipts for signing up with the scheme and therefore did not know the terms of their contract. Some said they had been duped into paying “premiums” to fraudsters who had simply disappeared with their money. Overall, the picture that emerged was of a poorly implemented scheme whose basic infrastructure and procedures have still not been established. This story continues a FactChecker series evaluating the government’s flagship programmes in the run-up to the 2019 general election. 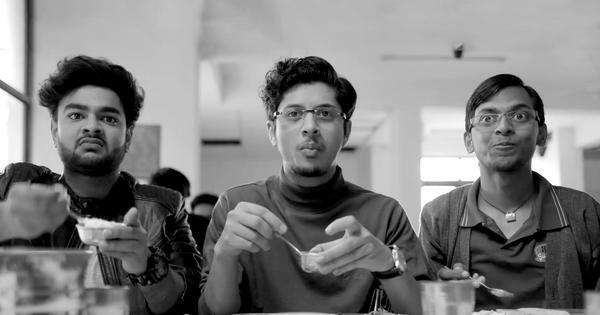 The first of this series investigated the government’s rural-jobs programme (here, here and here); the second spoke about the Swachh Bharat (Clean India) Mission’s sewage problem; the third (here, here and here) evaluated the Pradhan Mantri Sahaj Bijli Har Ghar Yojana (Prime Minister’s electricity-to-all-homes programme); the fourth, the fudging of open-defecation-free status data and shoddy toilet construction – amid evident enthusiasm – in Uttar Pradesh, which was declared open defecation free on December 31, 2018; the fifth, similar fudging of data and widespread open defecation in Gujarat, which was declared open defecation free on October 2, 2017; and the sixth explaining how the skills-development mission was set to miss deadlines. 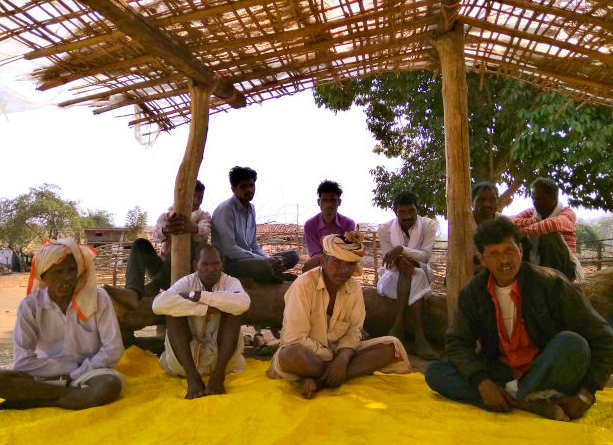 Two-and-a-half years after Pradhan Mantri Fasal Bima Yojana was rolled out, farmers of Dhankar village of Sirali tehsil of Harda district in southwestern Madhya Pradesh assembled for a meeting on September 16, 2018, which was live-streamed on Facebook. The agenda: How they had been “duped” under Pradhan Mantri Fasal Bima Yojana. “Yeh aankdon ki puri ladai hai. Aankdon ke aadhaar par humko ladni hai (This is a battle of numbers, and we must fight it with numbers),” said Kedar Sirohi, co-founder and former member of Harda-based Aam Kisan Union (Common Farmers’ Union). 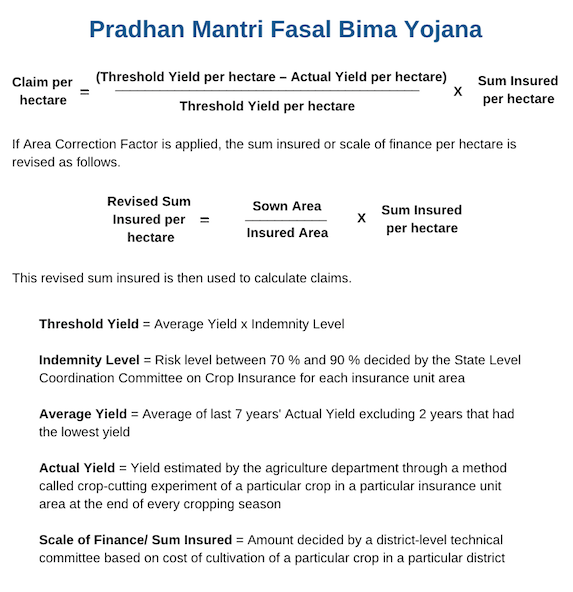 Another union member helped break down the concepts–threshold yield, actual yield and scale of finance–key to calculating insurance claims under Pradhan Mantri Fasal Bima Yojana. 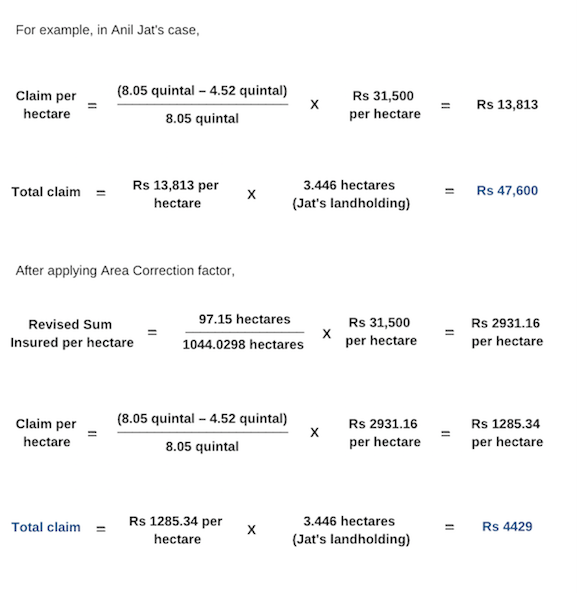 In the end, using the scheme’s claim formula, they arrived at a claim of Rs 4,543 per acre for soybean crop–the compensation that each Dhankar farmer should have received. Dhankar residents’ soybean fields had yielded 3 quintal per acre from the 2017 kharif crop (which grows from July-October during the south-west monsoon), as against the village’s usual average of 5 quintal per acre, according to the agriculture department’s yield estimates. The insurance company had paid them Rs 1,700 per acre – 62.5% less. Aam Kisan Union has been organising kisan pathshalas (farmers’ study groups) in some 35 villages. “Hamari aur unki ganana mein antar hai,” Sirohi had said at the meeting in Dhankar. “Yeh ladai hamari bima company se hai (Our fight is against the insurance company),” Sirohi said. By this he meant the Agriculture Insurance Company of India, which is government-owned, and is one of the 18 public and private insurance firms implementing Pradhan Mantri Fasal Bima Yojanaacross the country. Various insurance companies operate in different parts of the country. Districts in each state are clustered into groups by agro-climatic conditions, and by risk intensity. State governments invite tenders, and one winning bidder is selected for each cluster of districts to implement Pradhan Mantri Fasal Bima Yojana. Each district, therefore, has one insurance firm as the implementing agency. All insurers charge a premium from farmers, as well as from the central and state governments, at the beginning of each cropping season – kharif (July-October monsoon cropping) and rabi (October-March winter cropping). In the kharif season, 2% of the premium is paid by the farmer while the remaining is divided equally between central and state governments. In the rabi season, the farmer contributes 1.5% of the premium, and for commercial crops in either season, 5%. Insurers have to compensate farmers in case of crop loss due to natural calamities including a dry spell, inundation, unseasonal rain, pests and disease – from sowing to post-harvest. 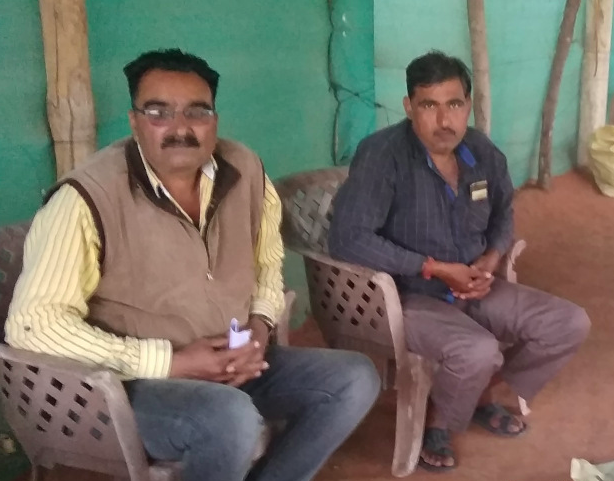 Dissatisfaction led more than 200 farmers from 30 villages in Harda to approach the District Consumer Disputes Redressal Forum, after dharnas and unsuccessful appeals to the district authorities. “That is when we began approaching lawyers for redress,” said Ram Inaniya, an Aam Kisan Union co-founder. Many complaints were then lodged with the consumer forum from October 2018 onwards, which are currently being heard, he said. In kharif 2016, Pradhan Mantri Fasal Bima Yojana replaced the National Agriculture Insurance Scheme and the Modified National Agriculture Insurance Scheme. “This is a crop insurance with a difference and the difference is absolutely critical to the Indian farmer. The farmer is going to pay less...and in the event of a crop failure he (/she) is going to be paid more,” union minister Arun Jaitley had said in March 2016. From 2011-12 to 2015-16, claims paid were in excess of premiums collected. 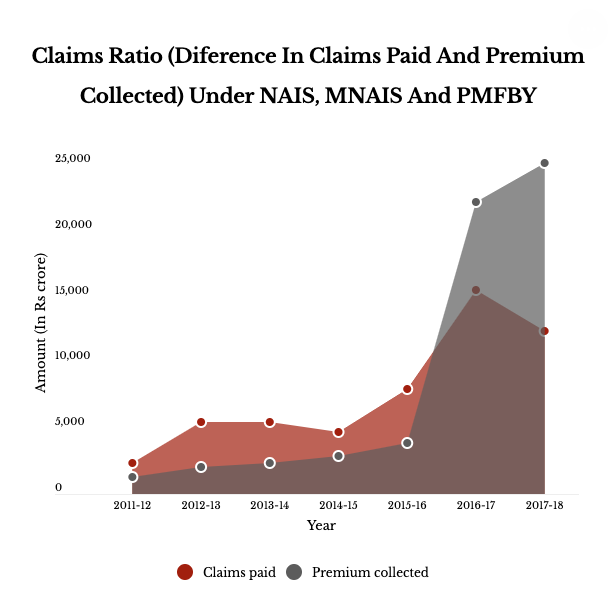 After Pradhan Mantri Fasal Bima Yojana’s launch, in 2016-17, the situation was reversed and the amount of claims settled was 69.71% of the amount of premium collected (which is termed “claims ratio”). The 2017-18 annual report of the Insurance Regulatory and Development Authority of India revealed that 11 private insurance companies had earned a profit of Rs 3,074 crore ($433.03 million) from crop insurance schemes – a transformation from the previous no-profit situation. In 2017-18, the second year of Pradhan Mantri Fasal Bima Yojana’s implementation, the claims ratio fell further – against a total premium collection of Rs 25,140 crore ($3.5 billion), 49% or Rs 12,408 crore ($1.74 billion), was paid out as claims. In the two years of Pradhan Mantri Fasal Bima Yojana, insurance companies collectively earned Rs 19,455.64 crore ($2.74 billion). As our ground report from Madhya Pradesh shows, they had not invested adequately to create infrastructure such as tehsil-level offices and loss assessors, as required under the scheme’s operational guidelines. Moreover, the share of the government’s premium paid to insurance companies is not audited by the Comptroller and Auditor General of India, as CAG’s 2017 report noted. Senior journalist and founder editor of the People’s Archive of Rural India, P Sainath, has described the scheme as a scam. “It’s not about one private corporation, but over a dozen of them benefit in crores of rupees of public money,” he tweeted on November 13, 2018. Pradhan Mantri Fasal Bima Yojana has also been criticised for involuntary enrolment. A farmers’ group has filed a public interest litigation in the Ahmedabad High Court against the scheme’s provision that mandatorily enrols farmers for Pradhan Mantri Fasal Bima Yojana when they apply for bank loans. Some 74% of farmers enrolled in 2016-17 and 2017-18 are loanees. Anil Jat, a 32-year-old farmer and lawyer from Bichhapur village of Timarni tehsil in Harda, holds an account with the State Bank of India under the Kisan Credit Card scheme that aims to provide farmers with quick and timely access to affordable credit. All regular Kisan Credit Card borrowers are mandatorily enrolled with Pradhan Mantri Fasal Bima Yojana and premium is deducted automatically from their accounts each season. Jat had Rs 2,412 debited from his account on July 31, 2017, as premium to insure his soybean crop for kharif 2017. On September 24, 2017, excessive rain inundated Jat’s 8.5-acre soybean farm. Within the stipulated 48-hour time limit to apprise authorities of the damage, Jat wrote to the Agriculture Insurance Company of India. “Up to 85% of our soybean crop is damaged in the flood,” he wrote in a September 26, 2017, letter addressed to the Agriculture Insurance Company general manager and submitted to the district agriculture department. Agriculture Insurance Company has no office in Harda district, though Pradhan Mantri Fasal Bima Yojana operational guidelines require insurance firms to set up a functional office in each tehsil of each district under their jurisdiction. The same day, he also submitted a claim form, as required under the scheme, to his bank. The form was countersigned by the branch manager of SBI’s Timarni branch confirming that Jat’s premium had been remitted. As per the guidelines, the insurance company must appoint a loss assessor within 48 hours of intimation of loss. The damage is to be jointly assessed by the loss assessor, the affected farmer and a block-level agriculture officer. Jat said he received no such information or visit. Therefore, he filed a complaint against Agriculture Insurance Company at the District Consumer Disputes Redressal Forum. The guidelines require claims on individual complaints of localised loss to be settled within 15 days of submission of loss evaluation report and 29 days of loss intimation. Jat should have received compensation by the end of October 2017. “If we do not intimate our loss in time and submit the claim form, we do not become eligible for compensation. But, when insurance firms do not honour their end of timelines, they face no serious consequences,” Jat said. There are at least eight other farmers in and around his village whose claims of individual and localised loss have not been settled, he added. Two months after he filed his complaint at the consumer forum and 10 months after he claimed compensation, Jat received an amount of Rs 4,423 in August 2018. “With 85% damage, I lost around 30 quintals of soybean and more than Rs 60,000,” he told Factchecker. The claim figure had been calculated based on the end-of-season yield estimate of the agriculture department using a method called ‘crop-cutting experiment’. To the figure arrived at with this method, an “Area Correction Factor” had been applied, which had downsized the claims of all farmers in his village, Jat said. 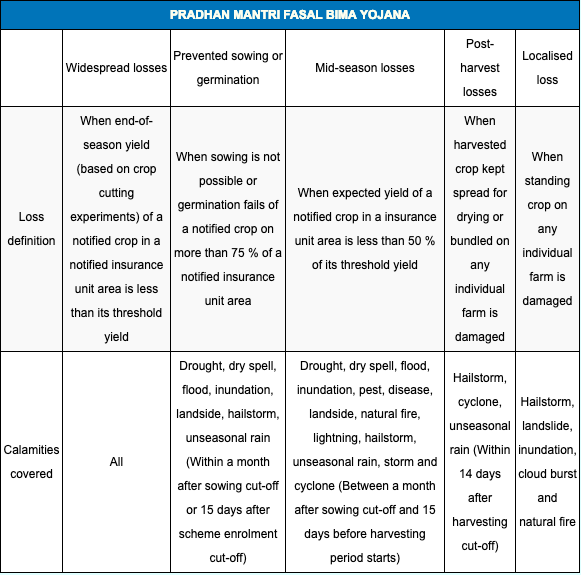 This is a provision introduced in Pradhan Mantri Fasal Bima Yojana to address excess insurance coverage, which happens when, for instance, some farmers in an area who are insured for a particular crop switch to another crop at sowing time. To arrive at the area correction factor, the area sown is divided by the area insured, and the resultant figure is multiplied by the sum for which each hectare is insured (or “scale of finance”). The insurance sum is pre-decided by district-level technical committees each year, based on the cost of cultivation. It varies from crop to crop and district to district. When the Area Correction Factor is applied, the scale of finance gets considerably reduced, in turn diminishing the claim amount. Jat’s own calculation led to a claim of Rs 47,600, based on figures that Aam Kisan Union had obtained from the state agriculture department. Applying Area Correction Factor reduced his claim by 91% to Rs 4,423, he said. The union claims to have discovered large and blanket cutbacks in compensation in 55 villages of the district, some by more than Rs 5,000 per acre, so that the claims received by some farmers were less than the premiums debited from their accounts. There is no mention of Area Correction Factor in the scheme guidelines that were in operation in kharif 2017, Inaniya said. Although the 2016 operational guidelines have a section called ‘Acreage Discrepancy’ as a provision to address excess insurance, the term ‘Area Correction Factor’ does not feature in the guidelines, and appears for the first time in the 2018 revised operational guidelines. Neither set of guidelines lays out a formula or method for calculating Area Correction Factor and how it is to be applied. Explaining why the need to use Area Correction Factor arises, DS Verma, assistant director of agriculture in Harda, said the size of the sown area differs from the insured area because the two data sets are prepared at different points in time. To take a loan for a kharif crop, a farmer applies at the bank and submits land ownership documents such as khasra and khatauni – which are issued to each landowning farmer by the state revenue department and include details of the farmer’s land area and the crops cultivated on it–in April and May. The insured area in a gram panchayat (village council) is determined by collating this information from banks. However, during sowing time in June and July, a farmer may decide to sow different crops from those mentioned in his land documents based on weather and other considerations. The sown area is then determined by a survey called girdawari carried out by the state revenue department towards the end of August. “But, by this time, premiums are already debited from farmers’ accounts and remitted to insurance companies,” Verma said. The 2018 revised operational guidelines require farmers to submit a form along with a sowing certificate issued by the tehsildar (the revenue official of a tehsil – an administrative division within a district, called taluk, taluq or taluka in other states), to the bank in case of change of crop. “In other insurance policies such as car insurance, the insurance company ensures that a physical inspection of the car is carried out. Why is this system not followed by companies for crop insurance then?” Sharma, the agriculture researcher, said, adding that the burden of providing documents and proof should not rest with the farmer alone. The responsibility of carrying out crop-cutting experiments (to estimate end-of-season crop-wise yield in every gram panchayat, currently carried out by the agriculture department) must also be delegated to insurance firms, Sharma said. “If the companies employ staff at the tehsil level for these various tasks, it would also generate employment,” he said. In one instance, data entry errors in the sowing report led to incorrect claims in Harda. 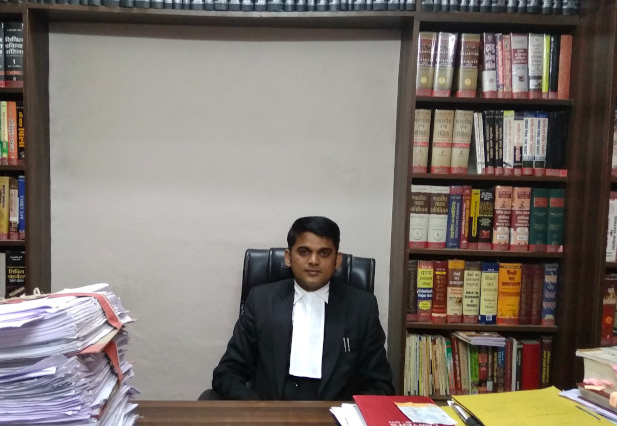 In September 2018, when claims were being disbursed, the Harda district collector’s office detected the errors. 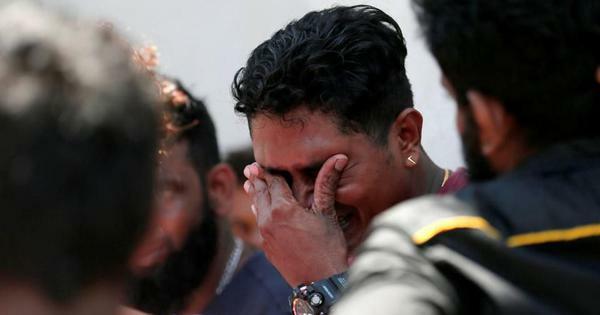 The correct data were then sent to Agriculture Insurance Company on December 17, 2018, but farmers said they had not received the remaining compensation. “Three hundred farmers in our village were supposed to receive Rs 9,273 per acre in claims. 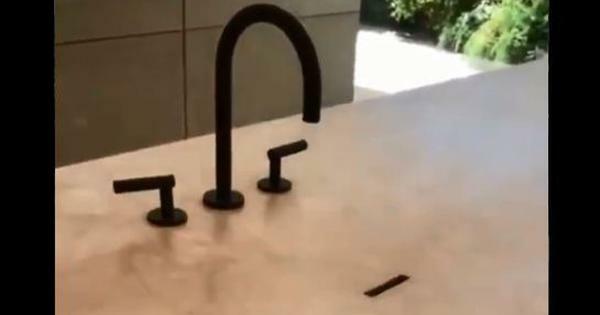 But, we have only received Rs 1,530 per acre,” said Santosh Punia, sarpanch of Handiya tehsil’s Nandara gram panchayat, which is affected due to the error. At present, the excess insured area is treated as uninsured and the corresponding premium forfeited and given to the central government. Suresh Lal, who owns three acres of farmland in Arroda village of Kailaras tehsil in Morena district in northern Madhya Pradesh, recollects the day in October 2018 when he was embezzled. “I was about to begin sowing pearl millet. A person who called himself an insurance company’s agent took Rs 150 from me as insurance premium for my rabi crop. He said that the crop would be surveyed and the bank would send a receipt. But, nothing happened,” he told Factchecker in Arroda in December 2018. Such incidents are common, said Omprakasah Shriwash, another farmer from Arroda who is a member of the All India Kisan Sabha, adding that without receipts or acknowledgement papers, farmers do not know if the person who took money from them was in fact an insurance agent or a fraudster. The 2017 report of the Comptroller and Auditor General of India concluded that 63% of the farmers it had surveyed had no knowledge of Pradhan Mantri Fasal Bima Yojana details such as rates of premium, risk covered, claims and assessment. “There is no information sent to the gram panchayat too on the procedures and details of Pradhan Mantri Fasal Bima Yojana,” Vandana Chhapre, sarpanch of Kapasi gram panchayat in Rehatgaon tehsil of Harda, told Factchecker. The 2018 revised guidelines make it clear that banks must ensure that an “Acknowledgement Receipt along with Folio” are supplied to each insured farmer within seven days of the insurance company’s acceptance of insurance applications. An SMS (text message on mobile phone) is to be automatically generated through the National Crop Insurance Portal and sent to all insured farmers. The portal is designed and maintained by the central government, and is the central platform for maintaining all data pertaining to the scheme. As our reporting from the ground shows, three years after the scheme’s commencement, this fundamental system has not been put in place. 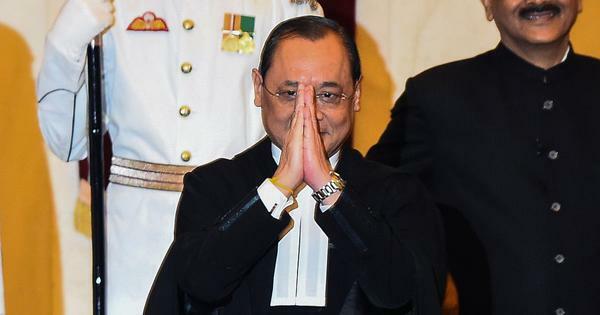 Although Patnaik admitted that there was a disconnect with farmers, he said Agriculture Insurance Company had no plan yet to set up offices at the district and tehsil level. “We have a field-level officer who sits in the collectorate to address farmers’ grievances and we have regular district-level meetings to sort out issues,” he added. 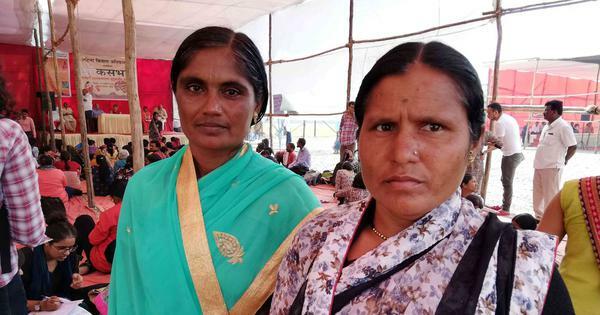 Adivasi farmers in Harda also pointed out that forest villages have not been notified under the scheme and are therefore excluded altogether. 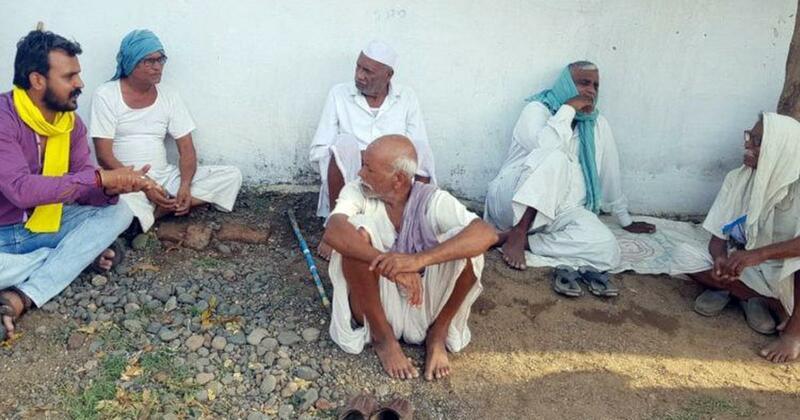 Korku adivasis in Harda’s Rehatgaon tehsil said their land is uneven and rainfall scanty. “We face a lot of water shortage too unlike the revenue villages in the plains that are irrigated by canals,” said Faggu Panse, sarpanch of Bodhi gram panchayat in Rehatgaon tehsil of Harda. 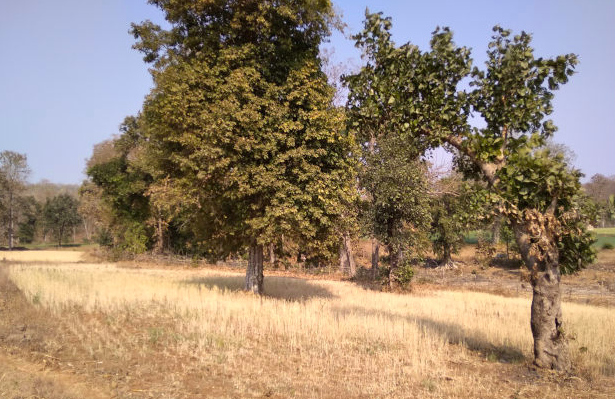 Bodhi is among the 45 forest villages in Harda that are not notified under Pradhan Mantri Fasal Bima Yojana, making farmers of these villages ineligible for the scheme. Revenue villages are those where land is administered by the revenue department while forest villages, which are remotely situated in forests, are administered by the forest department. Since the MP government has not notified forest villages, farmers is these villages are ineligible for Pradhan Mantri Fasal Bima Yojana. However, Adivasi farmers in notified gram panchayats are eligible. “We had received compensation from the forest department a few years ago when hailstorm destroyed our crop. But, we do not get compensated when crops suffer because of dry spells and water scarcity,” Panse said. Their wheat yield, Bodhi’s farmers said, had fallen from five quintals per acre to two quintals because of poor rainfall. 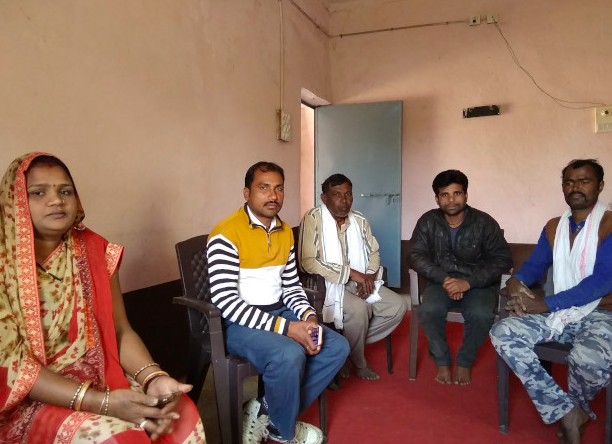 Devendar Bhadoria of Dharti Gramothan Evam Sahabhagi Gramin Vikas Samiti, a non-government organisation that works with Sahariya adivasis in Sheopur district of northern Madhya Pradesh, also highlighted the adivasis’ peculiar realities. “A lot of them did not have Aadhaar cards and bank accounts. We facilitated them in completing these processes so they could apply for Pradhan Mantri Fasal Bima Yojana. But, none of them received any claims despite crop failures,” said Bhadoria. This article first appeared on FactChecker.